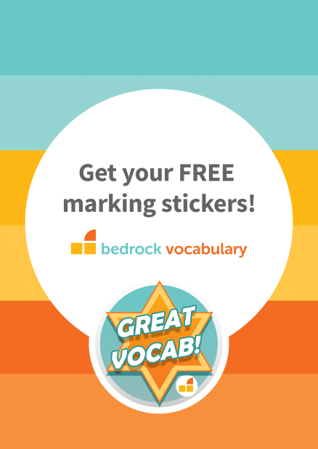 Bedrock Vocabulary draws from extensive research that explores why we should all be teaching vocabulary and what best practice in this crucial area of pedagogy looks like. Our programme has a large impact on vocabulary learning. Our frequent and varied style of teaching ensures that thousands of students, from a variety of backgrounds, can learn the kind of language that is essential to their academic achievement. Bedrock students make reliable, statistically significant progress. Hart & Risley (2003): By the age of 4, a child from a ‘welfare’ family is exposed to 30 million fewer words than a child from a ‘professional’ family. Further, between 86 and 98% of words in a child’s vocabulary are also found in their parents’ vocabulary. The Matthew Effect for reading (Stanovich 1986) suggests that this lexical disparity widens as the language rich get richer and the language poor get poorer. But What About My Reticent Readers? Research (Nagy 1980, Beck, McKeown et al 2002) suggests a student learns around 3000 new words every academic year. Beck et al assert that this figure relies heavily on wider reading and less than 10% of these words are explicitly taught. For reticent readers, this approach is simply not good enough.